rom the very first glance, the Sun Odyssey 349 captivates with her pure lines, generous interior volume and inviting cockpit. 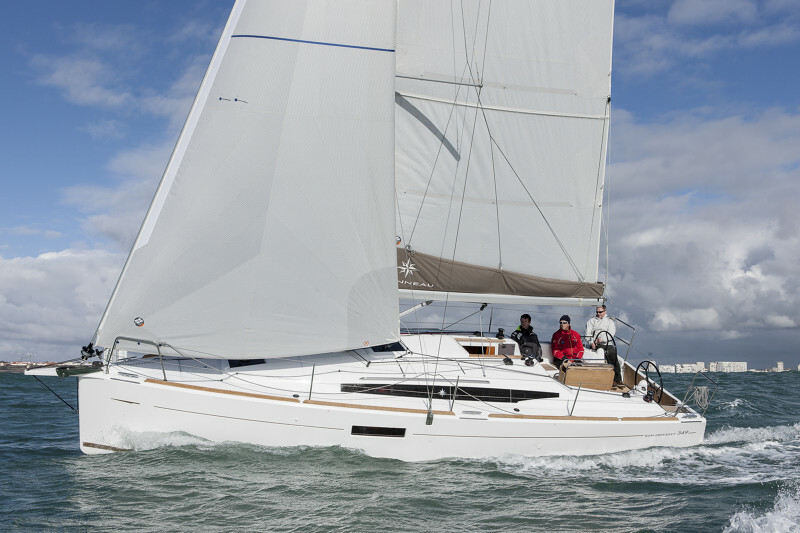 True to the values of the Sun Odyssey line, the 349 is the perfect combination of performance, comfort and safety at sea. Whether in the cockpit or at the helm, at anchorage or at sea, you will enjoy taking full advantage of this seaworthy, stable and easy-to-handle sailboat. Escape from the everyday and taste the pleasures of family cruising. With two or three cabins, a spacious saloon and a very functional galley, the Sun Odyssey proves both well considered and inviting. High quality woodwork accents an incredibly bright, well-lit interior.